CANopen timing and performance analysis tool. Comes with a PEAK PCAN-USB CAN interface and support module. Measure node performance, automated node limits testing, generate ratings and reports. 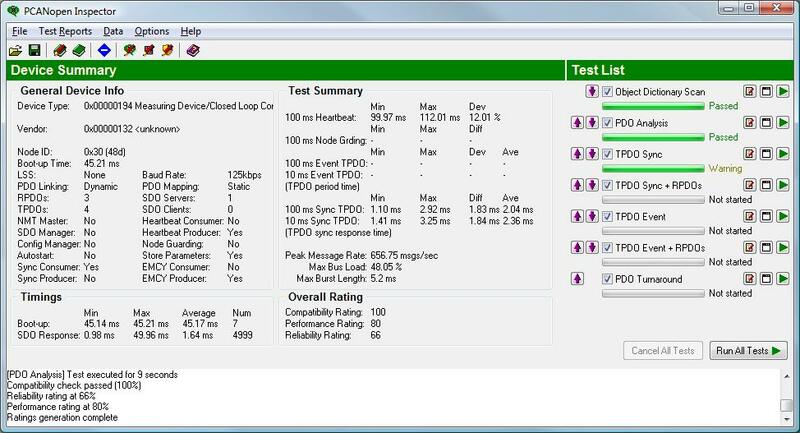 PCANopen Inspector is a complete professional grade CANopen node testing and analysis package. Create detailed information on capabilities, performance and limits of CANopen nodes! By running a suite of configurable tests, the performance and reliability of a CANopen node may be determined. Multiple aspects of the performance of the node may be measured under different situations with and without simulated background traffic and warnings or errors generated when specific user configurable conditions occur. 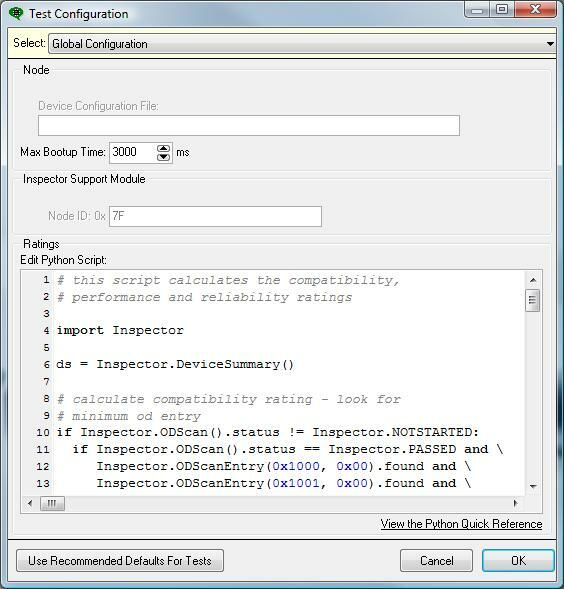 In addition, automated test modes allow PCANopen Inspector to find the limits of a node’s performance, allowing precise characterization of the node. 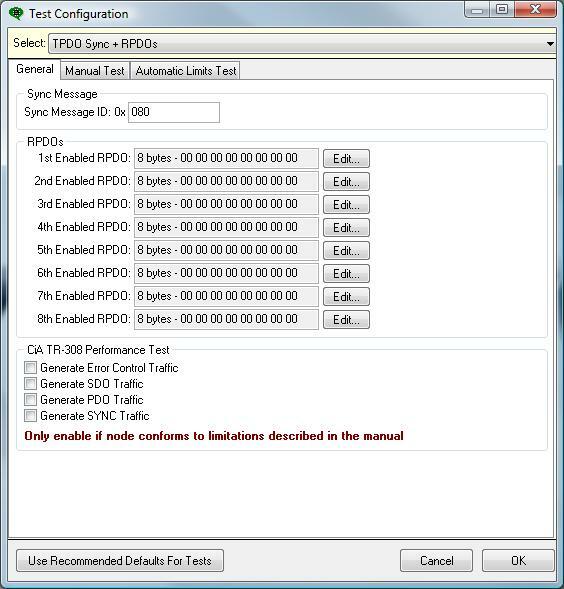 The CAN in Automation Performance Test (CiA TR-308) is implemented in PCANopen Inspector, providing a standardized means of testing nodes. The following is a list of features in PCANopen Inspector. The list is not exhaustive by any means, but does give a good overview of the abilities of PCANopen Inspector. This product comes with a PEAK-System Technik USB CAN interface (PCAN-USB). For easy and cost-effective integration into 2.0A and 2.0B CAN networks operating at a maximum baud rate of 1 Mbps. With its compact plastic casing, the USB-to-CAN converter is ideally suited for use with laptops and notebooks. 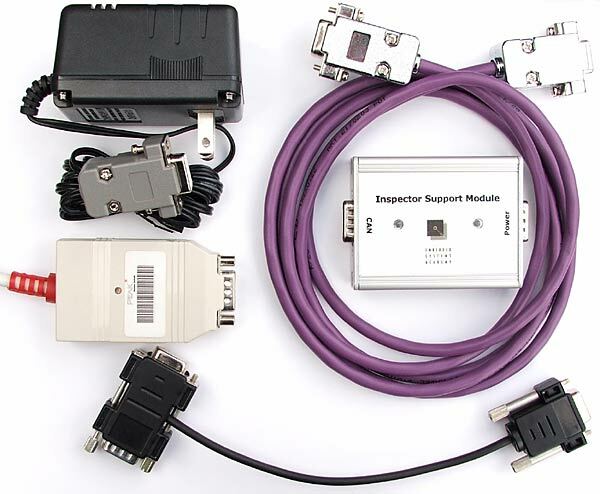 This product is also supplied with an Inspector Support Module and CAN cabling. Click on a thumbnail to show a close up of the screenshot. 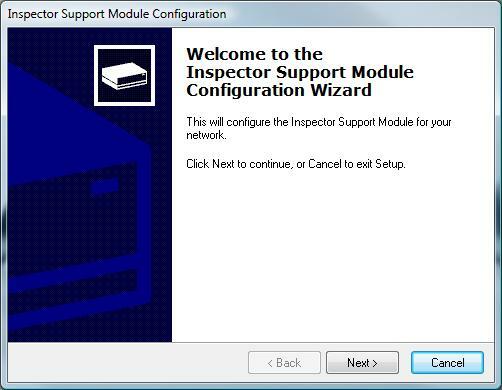 PCANopen Inspector can run on Windows 2000/XP/Vista, however smoother operation will be experienced on Pentium III or better PCs.